Solanum lycopersicum. 65 days. Indet. 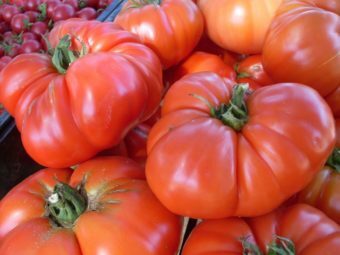 Another excellent European tomato. A medium-early variety with tall plants that are loaded with perfectly round, brilliant red fruit weighing 3-4 oz. 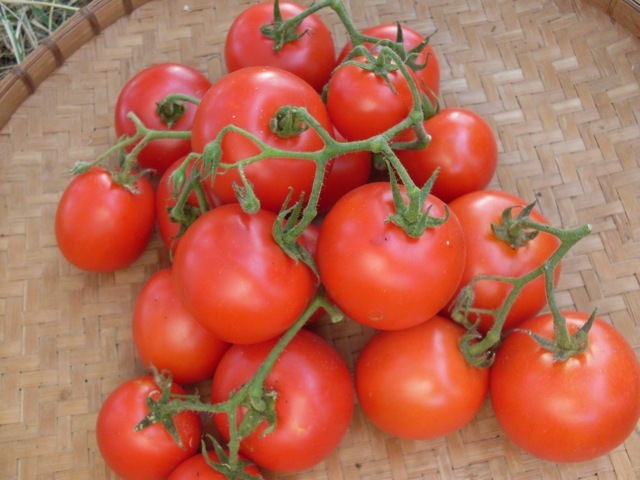 The firm, flavorful fruit keep well once picked, making Oldendorf Red an excellent salad tomato for market farmers. Very productive when grown outdoors. Consistently holds better quality late into the season. 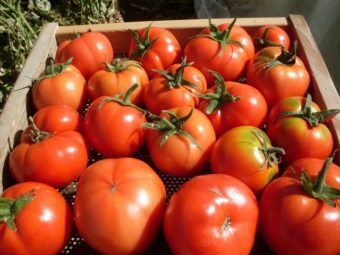 This variety is the result of a breeding project supported by Kultursaat, a German foundation dedicated to developing biodynamic seed varieties. Bred specifically for trellised greenhouse production in Oldendorf, Germany, by Ulrike Behrendt. Sourced originally from the German biodynamic seed company, Bingenheimer Saatgut, in 2006 during our first Seed Ambassadors trip. Aka, Oldenrot. I have been growing this tomato for around 10 years. 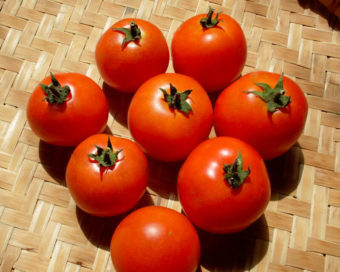 It is a small, tasty tomato which holds both on and off the vine. I usually pick 20 pounds at a time which fill two roasting trays, all from one vine. This vine will stop producing in late September, but it does start producing several weeks earlier than others. 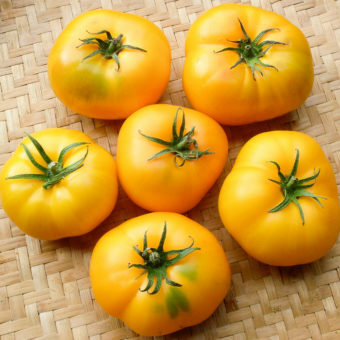 Because of this tomatoes holding ability, you can leave the ripe ones on the vine until you have time to process them. This is the least demanding tomato we grow.